Love scripted backgrounds and your multi-looped twine bow is fabulous. Lovely job on all of them :) You can come and wash my windows for me any time LOL! These are super cards for a guy, Colleen. 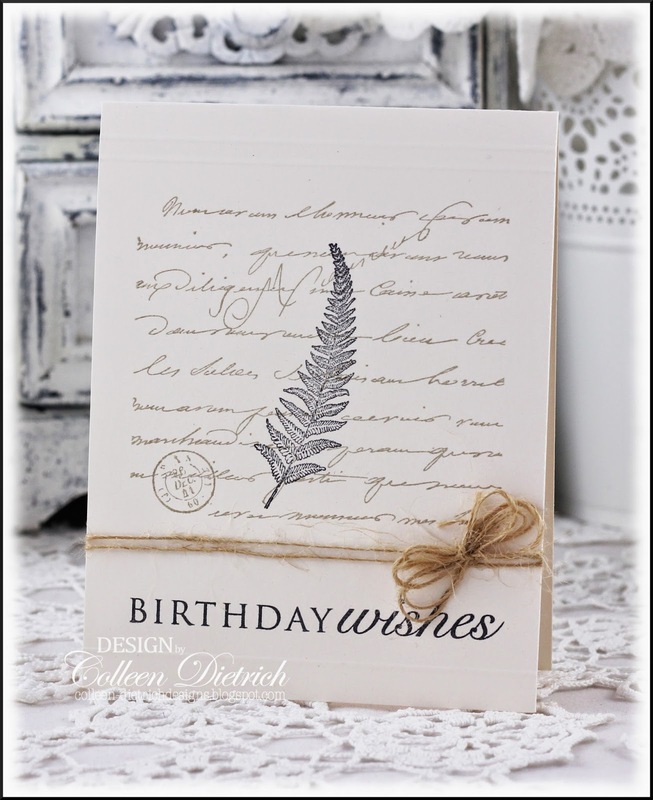 Love the fern and pinecone. Big girls can't be wearing little girl clothes, anymore. Did you shed a tear? I think I would have. :-)They grow up sooooooo fast. So gorgeous! LOVING the pine cones!!!! You sure craft those "DMC" cards with ease! I still need to do the task of changing the closet out. Trying to figure an easy place to gain access to them for next year as I don't have my hubby to grab them for me as he will be leaving in August for a year. The Attic can be tricky here. So needless to say I am putting this task off. The kiddos grow so fast. 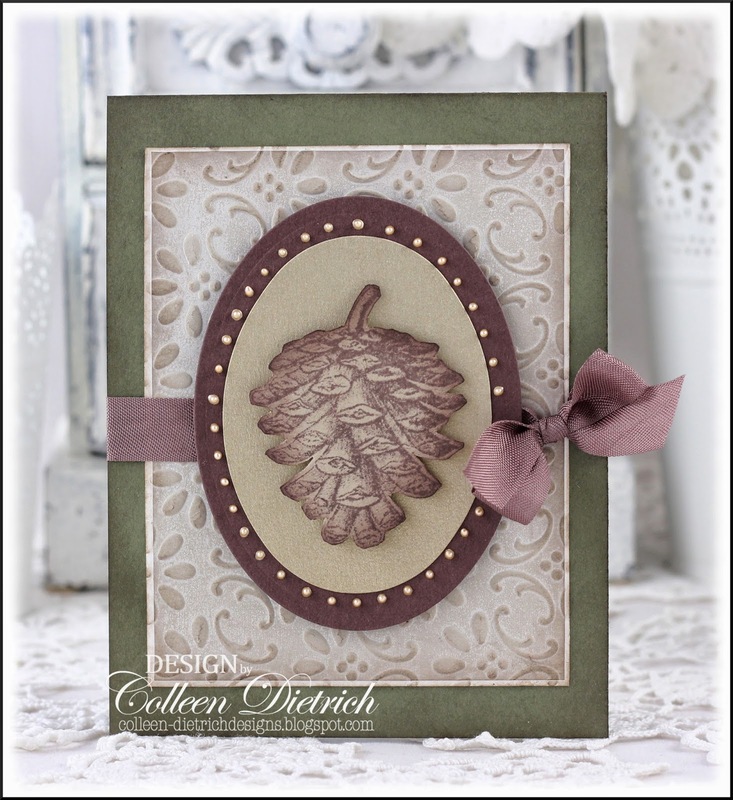 Love these masculine cards Colleen! 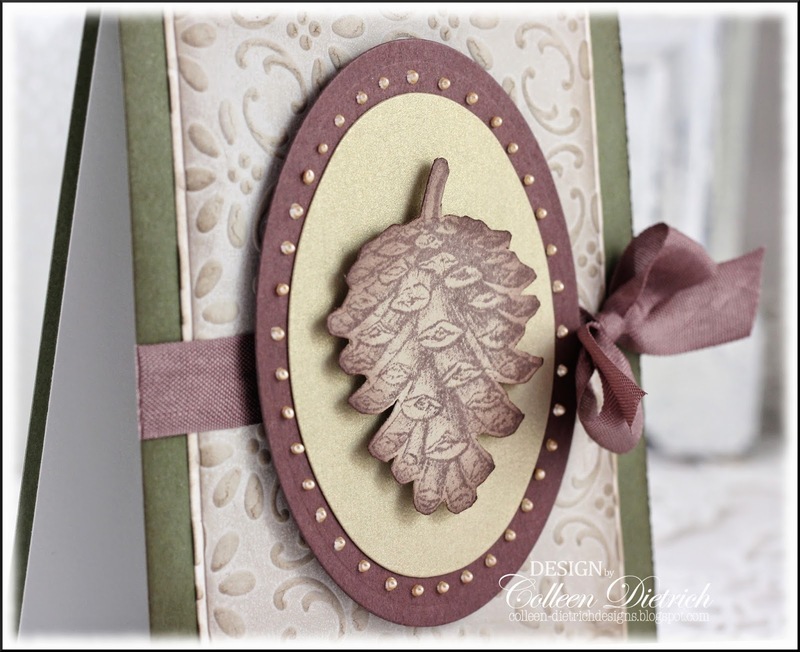 The stamped Pinecone and fern look so fabulous! Wonderful guy cards!!! PInecone is fab!! WOW you are rockin the masculine cards Colleen, these are FANTASTIC!! Wonderful masculine cards, Colleen! Pine cones and ferns are perfect for guys! These are super great masculine cards! I especially love the first two, but the last is also awesome. The LP and the bow are understated enough to work for a masculine card. Sometimes you just have to leave the sentiment off when it looks perfect as is. Noone makes elegant cards like you! LOVE these!!! oh...these cards are just awesome! love the CAS feel the first one has. 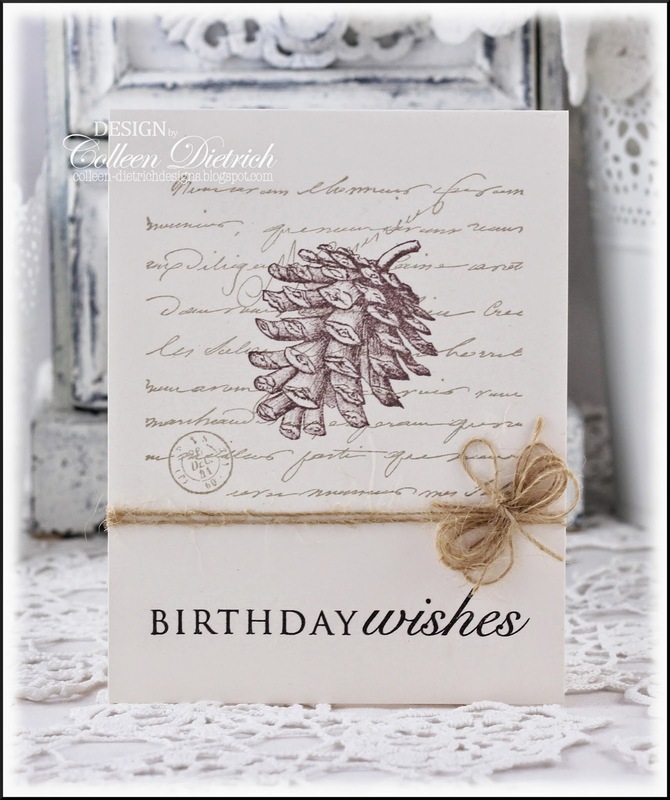 Love that pine cone and the beautiful script background! Classy cards! Your cards are always gorgeous but the first card...I am in awe....wow! All three cards are wonderful for guys! Just guy lovely!!! Great masculine cards especially the first card with the natural look. Isn't it nice to look thru the crystal clear windows!